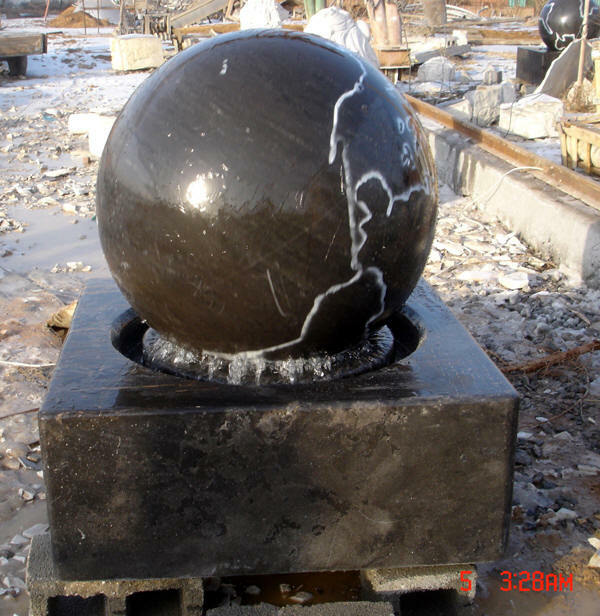 Description: A 26 inch wide black granite Sphere with world etching sitting on a black granite base. We have 1 unit in a self-contained design with water flowing back inside the fountain, and one in a centerpiece design with water spilling our over into a water basin. Available for immediate shipment.